Yemeni activists using the hashtag #StrandedYemenis  and its Arabic equivalent #يمنيون_عالقون  started tweeting about this humanitarian problem facing thousands of Yemenis abroad to raise awareness. 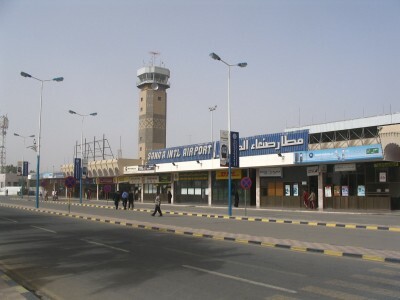 Al Jazeera published a report  showing testimonies of stranded Yemenis in Djibouti. This crisis also affected citizens of different nationalities such as Indians  and Pakistanis in Yemen unsuccessfully seeking evacuation in order to return to their countries. 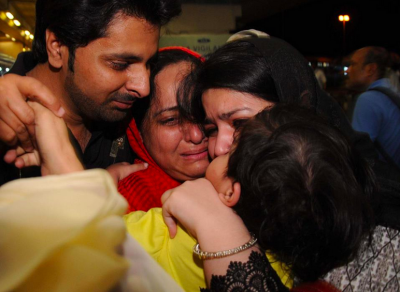 On Sunday, and after Saudi agreed to cease its air strikes for two hours, a Pakistani airplane managed to leave  Yemen with 500 Pakistani passengers on board.